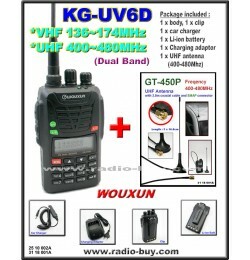 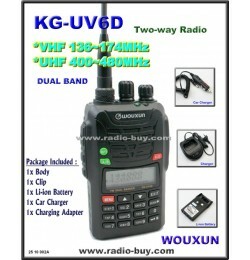 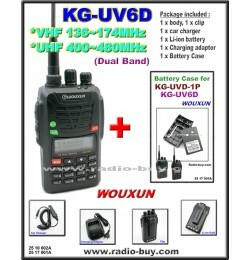 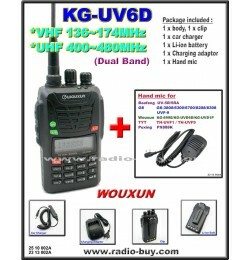 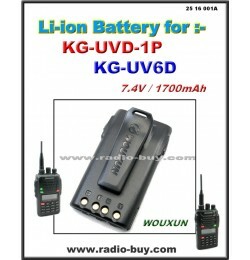 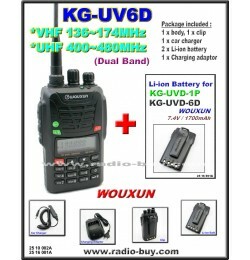 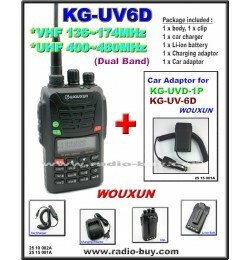 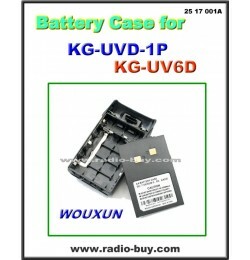 Battery Case For Wouxun KG-UVD1P / KG-UV6D100% Brand NEWpackage include : 1 x battery..
Lithium Battery For Wouxun :- .. 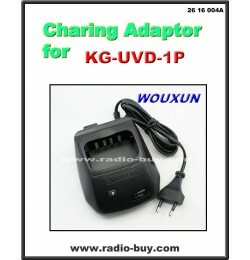 Car Adaptor for Wouxun KG-UVD1P / KG-UV6D100% Brand New.. 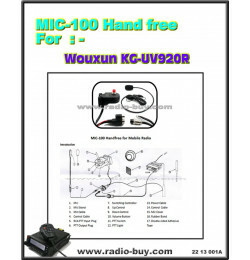 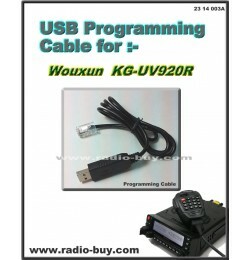 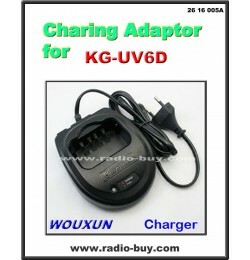 Charging Adaptor for Wouxun KG-UV6D100% Brand New.. 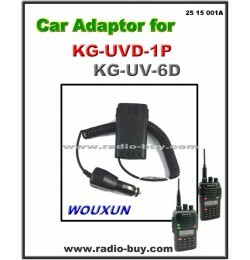 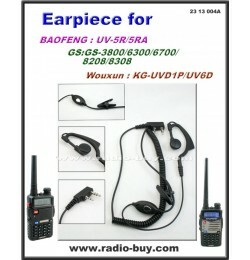 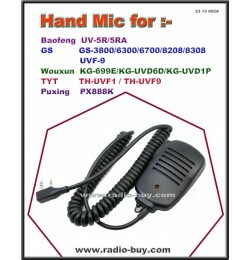 Charging Adaptor for Wouxun KG-UVD1P100% Brand New..
Earphone for Series :- Golden Spring GS-3800/GS-6300/GS-6700/GS-8208/GS-8308Baofeng U..
Hand Mic for SeriesGolden Spring : GS-3800/6300/6700/8208/8308/UVF-9Baofeng : UV-5R/UV-5RAWouxu..
MIC-100 Handfree Compatible For Wouxun KG-UV920R / KG-UV950R100% Brand New..
USB Programming Cable for Series :- Wouxun KG-UV920R100% Brand New'..
Wouxun KG-UV6D (Dual Band 136-174MHz & 400-480MHz) with FM RadioFeatures:- FM Radio&nb..
Wouxun KG-UV6D (Dual Band 136-174MHz & 400-480MHz) with FM Radio + Additional Lithium ..
Wouxun KG-UV6D (Dual Band 136-174MHz & 400-480MHz) with FM Radio + Battery CaseFeature..
Wouxun KG-UV6D (Dual Band 136-174MHz & 400-470MHz) with FM Radio + Car AdaptorFeatures..
Wouxun KG-UV6D (Dual Band 136-174MHz & 400-470MHz) with FM Radio + Mini Hand MicFeatur..
Wouxun KG-UV6D (Dual Band 136-174MHz & 400-470MHz) with FM Radio + UHF Band Mobile Ant..